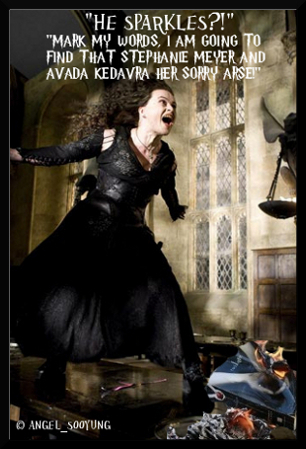 Go Bellatrix!. yeah! bellatrix is gonna kill her!!!. Wallpaper and background images in the Harry Potter vs Chạng vạng club tagged: twilight funny harry potter.